A trio of intriguing Geekbench benchmark runs have been unearthed online. 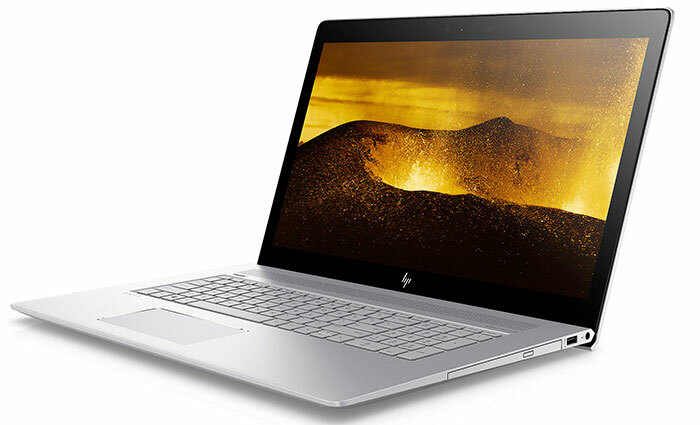 If the online results are genuine then someone has recently tested three unreleased HP laptop models that will be launched packing AMD Picasso APUs. 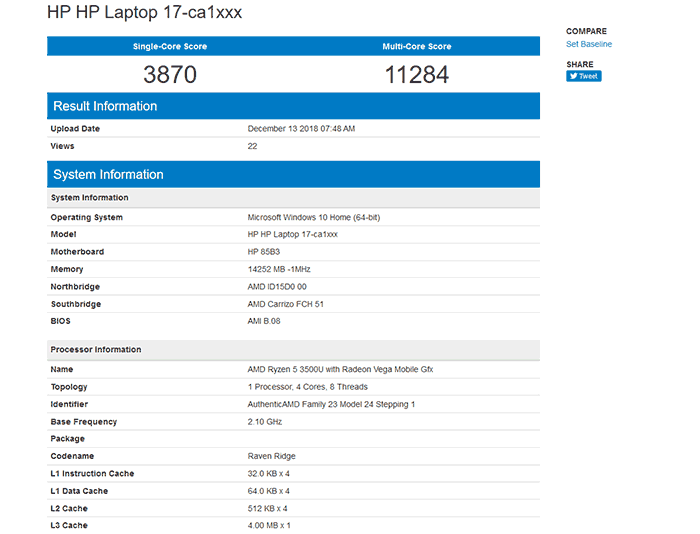 In previous HEXUS reports we have seen Picasso for laptops and desktops scheduled for launch in 2019 on the Socket FP5/AM4 platform. It is said to be based upon the Raven Ridge architecture with a power/performance uplift delivered - and thus it isn't a Zen 2 product. Another recent report said that Microsoft is preparing an AMD Picasso flavoured Surface Laptop. The above scores can be compared to processors you know online, or you can run your own Geekbench test to get a feel for the above performance numbers. My olde Core i7-4790T 4C/8T Haswell desktop scored Single-core: 4224, Multi-core: 13092, for example. A quick search of the database found that the AMD Ryzen 5 3500U seemed to perform very closely in single/multi threaded tasks to the 65W Skylake 4C/4T Intel Core i5-6400, for example. When we will see the first laptops featuring AMD Picasso APUs, fusing Raven Ridge CPU with Vega graphics, is not clear. With the weight of leaks increasing and major systems makers preparing Picasso laptops in the wings it could well be early in 2019. Perhaps we will get to see products with these power efficient U chips ahead of the desktop 3000H series (45W) in the coming year. If you are interested in the above mobile APUs and the potential of laptops built upon them you might like to know that Twitter leakster @TUM_APISAK today said there will be another pair of mobile Picasso APUs joining the trio outlined above. Tum says the lineup will include a more powerful 3700U, as well as a 300U model at the bottom of the stack. As these are APUs we mustn't forget the importance of the on-board Vega GPU configurations to weigh their appeal. That 14GB of ram is a weird one. Maybe sticks of 8GB and 4GB with an additional 2GB soldered for GPU? But then why would the extra 2GB be listed as available to the system for general use? 16GB with 2GB reserved for GPU. yeah that makes more sense. Enough to play Civ 6 and a few others. I could be tempted to upgrade my 2011 laptop to one of these if it has a SSD thrown in considering the collapsing price of NAND memory. That laptop has optical drive?